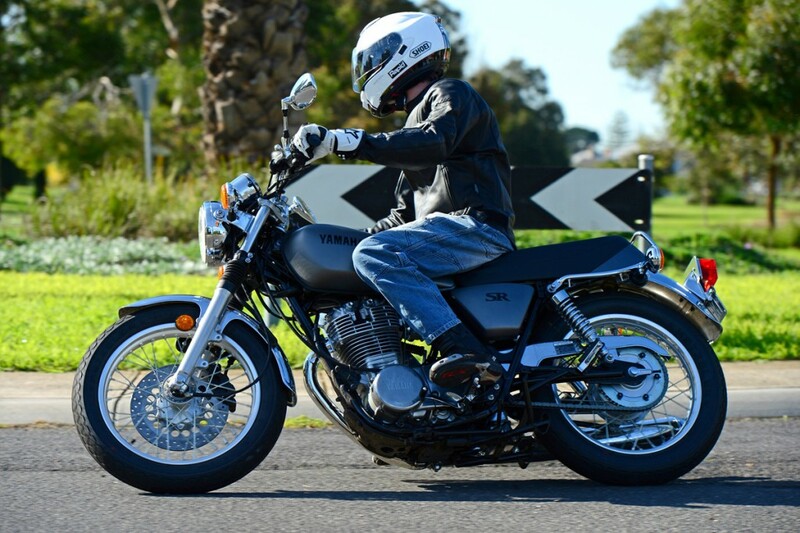 Sitting in Gasolina in Melbourne, there couldn’t be a more perfect place to be introduced to Yamaha’s latest offering – the SR400, a bike that is very close to the original SR500, the bike that built such a cult following over the years. If there’s ever been an example of old school classic cool brought into the present, this is it. 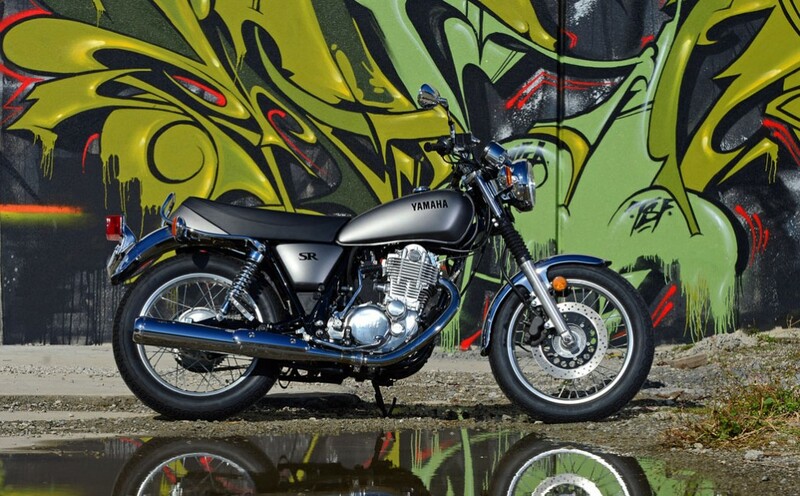 The Yamaha SR500 was available in the late ’70s and early ’80s and was popular thanks to its simple, elegant and minimalistic design, coupled with reliable and reasonable performance for its time. 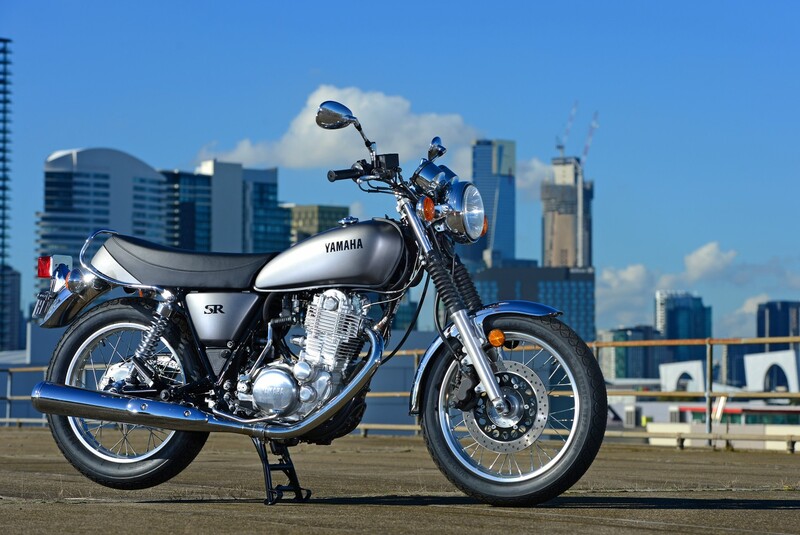 The SR400 has also actually been available in some form in Japan almost continuously since the SR500 was first launched, with the smaller capacity version necessary to meet licencing requirements in Japan. Indeed the SR400 was almost identical to the SR500, with a shorter stroke and a capacity of 399cc, with production and sale continuing in Japan until 2008 when the bike was updated, receiving fuel injection in order to meet emissions regulations as well as a chromed exhaust that contains a catalyser. 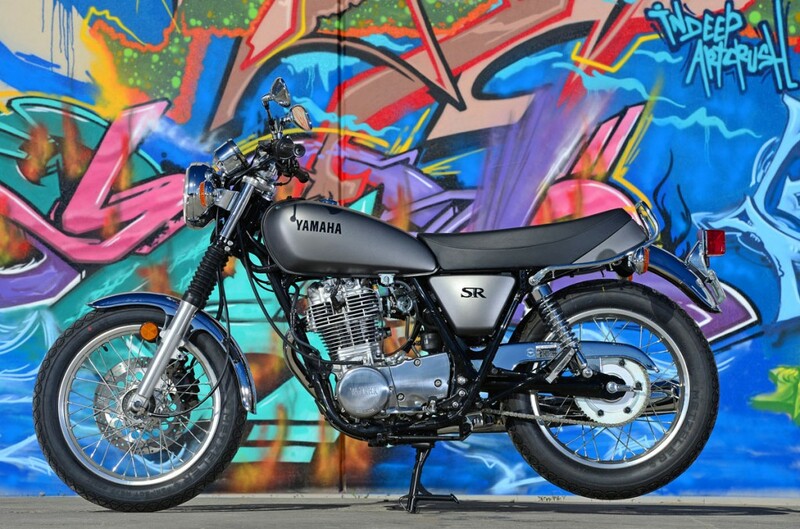 In fact, where everyone else tends to be jumping on the bandwagon – adding as much technology as possible to their bikes, Yamaha with the SR400 is taking the opposite direction. EFI is one of the few areas that the bike has been updated, maintaining the high build quality, oil in frame, theme of the original bike, that very much takes pointers from the British singles of the era. From a styling perspective the bike is very clean, very spartan and harkens back to the classic theme. 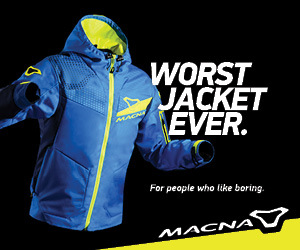 You aren’t going to pick one of these up if you think everything should look like a MotoGP or WSBK bike. These are old-school with plenty of character and style. The plastic that has become so common in the modern age is gladly lacking, with the bike instead featuring high quality chrome, alloy and a painted tail, side panels and tank, as well as the frame which holds the oil, with a clearly visible oil cap near the head stem. The instrumentation is simple and elegant, with a chromed finish, while the controls are basic and all within reach. 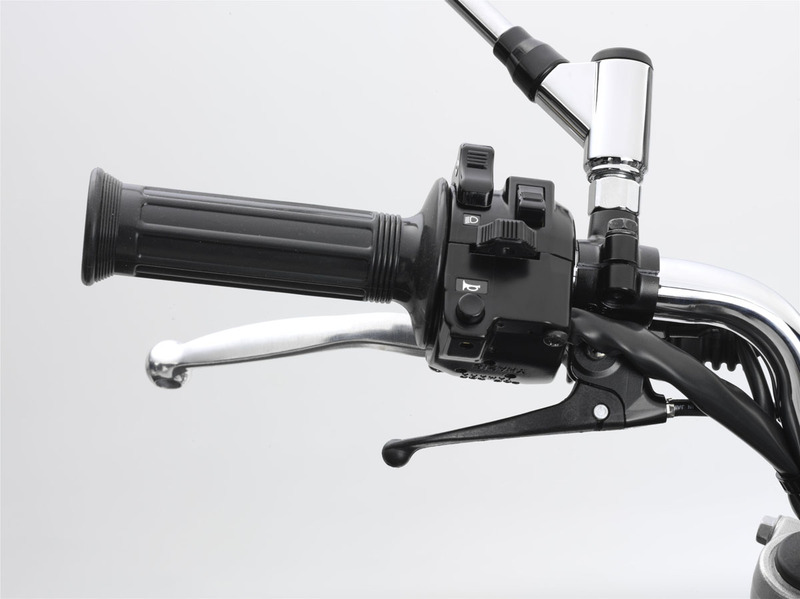 The decompression lever is there to make starting a little easier, while the engine sight glass provides a little more of a clue for those who may not have ridden a kick-start only bike before. 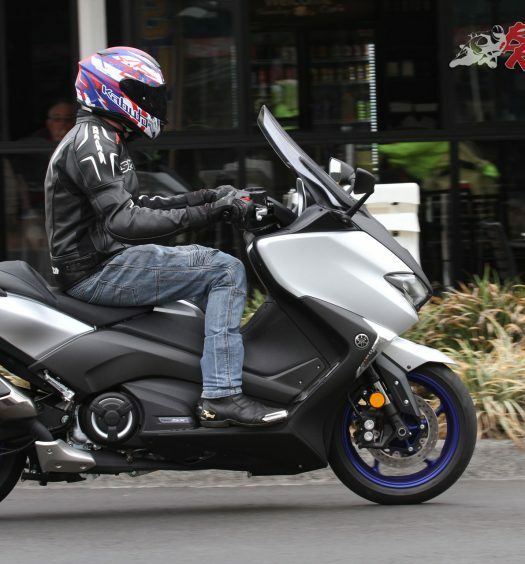 Kick-starting may seem like a hurdle, but the bike is extremely easy to get started, assuming you haven’t left the kill switch on, or had a mate flick the fuel tap or similar while you weren’t looking. Stalling at a set of lights won’t be fun, but apart from this the bike’s kick-starter adds plenty of character that you certainly won’t see much of these days, and is a great exercise that shows off your old school know how. From a performance standpoint the bike isn’t exactly lacking, although obviously you won’t be expecting to break any land speed records upon it. There’s plenty of go from down low, and the bike is a real hoot to rev hard, upshifting through the solid gearbox, with positive and easy changes. 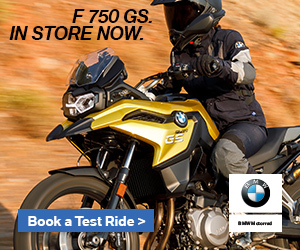 Power delivery is noticeably nippier than many of the learner bikes that share the same category, with plenty of torque to accelerate you through traffic. 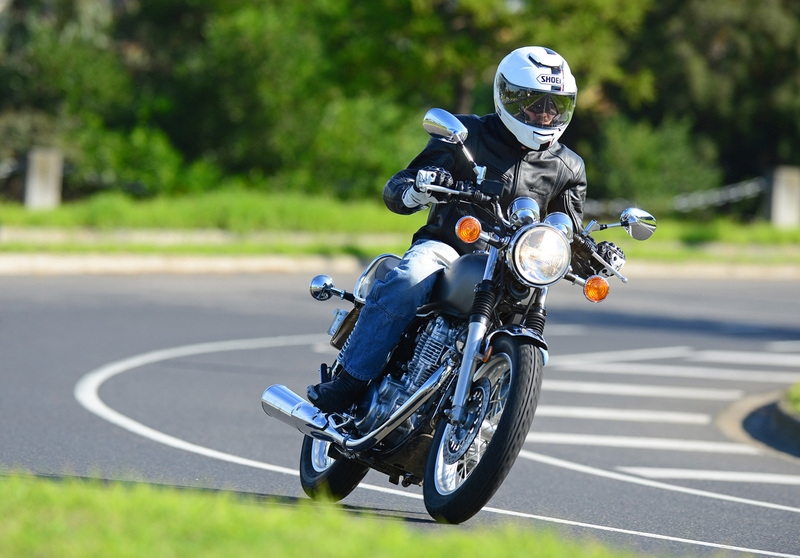 The bike is also exceptionally nimble, meaning it can really be thrown around for some fun and provides great feedback even through the relatively thin tyres, with plenty of grip to match the performance. 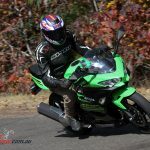 Braking is also quite good through the front rotor, while the rear drum helps drop off speed and slow at lower speeds, while providing additional control for the nimble package. Overall braking is quite good, considering it is only sporting a single front rotor/caliper combo, while the other fork also comes complete with mounting points that would make adding an additional rotor and caliper much easier. And this is really where Yamaha’s vision becomes clear. 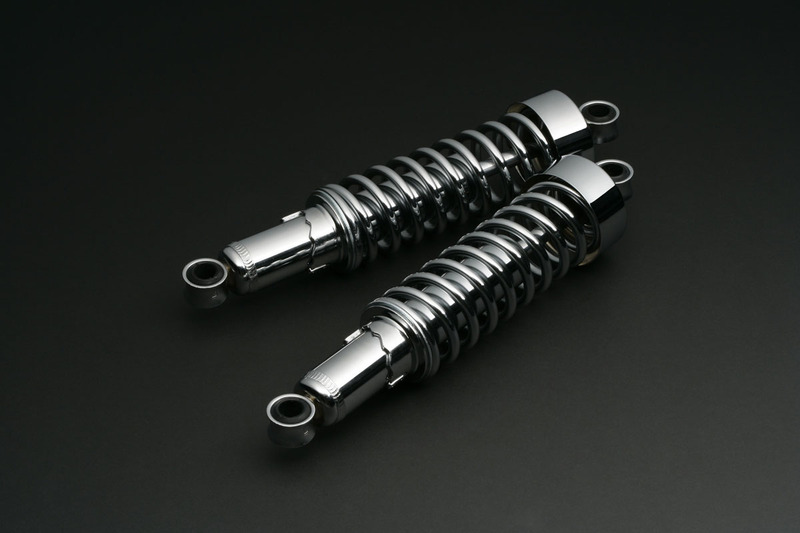 The SR500 was extremely popular and the SR400 in the Japanese market has shared that popularity. 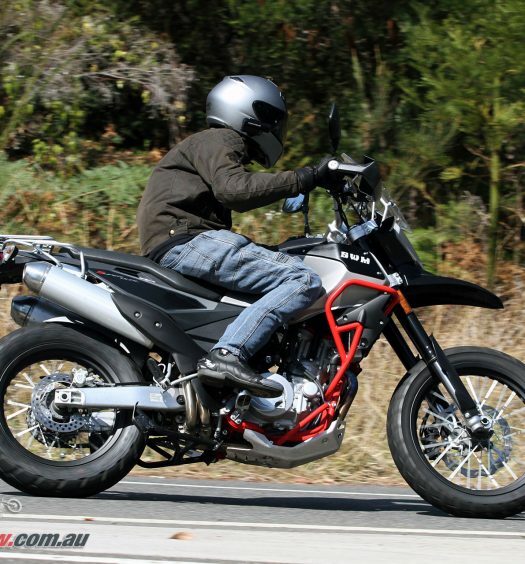 The bikes have however been a popular choice for modifications and typically attract a much more discerning buyer. This isn’t a bike aimed purely at the LAMS market as a great cheap first bike option that will be quickly upgraded (normally as soon as possible). This bike is an investment that is designed to receive plenty of aftermarket modifications, with kits being developed by a variety of custom bike shops even prior to the bike’s launch. It is the blank canvas designed to be molded to an owners desires, whether that be a caf racer conversion, or any other form of custom classic, from the racer inspired to anything you can think of. 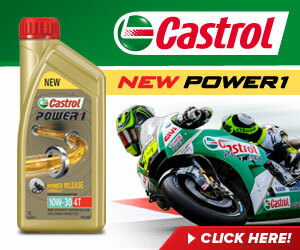 What will no doubt disappoint some is the fact the current 399cc version has lost almost 10hp on the original, which had 32hp, compared to the current 23hp. 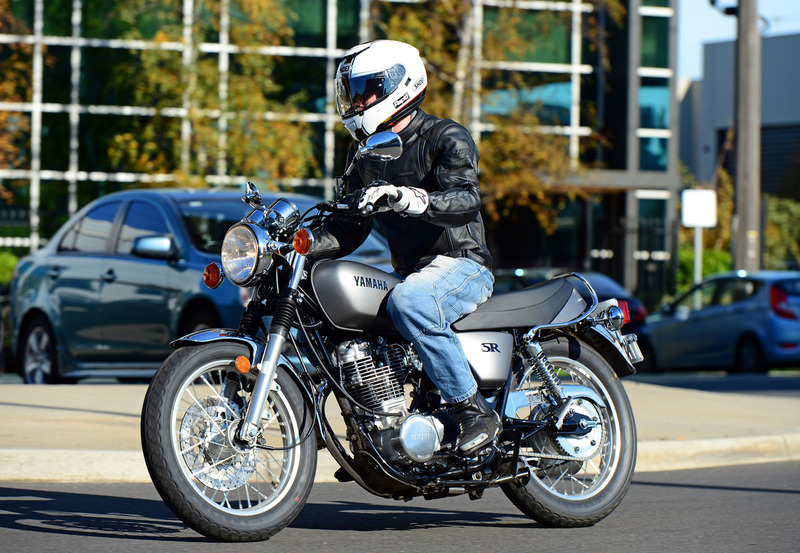 Of course performance mods are a common step on the original, particularly if they can avoid making kick-starting more difficult, and the SR400 we had with the aftermarket exhaust certainly sounded a fair sight better than the stockers. 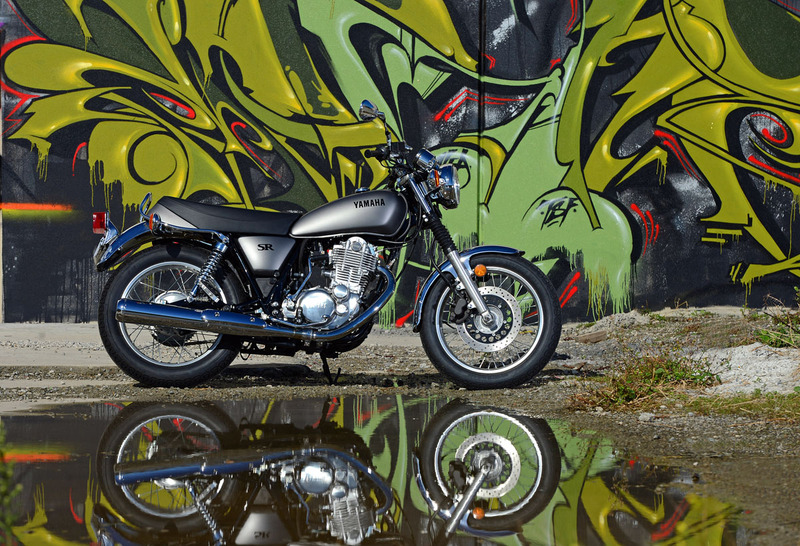 There’s no doubt the SR400 will become the basis for many a custom project, with original SR500s almost unheard of as owners improved the machine in various ways, whether it be performance or looks-wise. The real question will be how extreme these creations get and what type of performance will be wrung out of the little 399cc single. You only have to look at the work being done at Gasolina to create a custom kit for the SR400 to know riders are in for a treat when it comes to custom accessories for the latest SR. With custom creators around the country taking up the challenge, the SR400 is sure to become a premium motorcycle once fully fitted out to suit people’s specific tastes. INSTRUMENTS: Analogue speedo and tacho.